The hardest and yet most amazing thing I have done in my life. 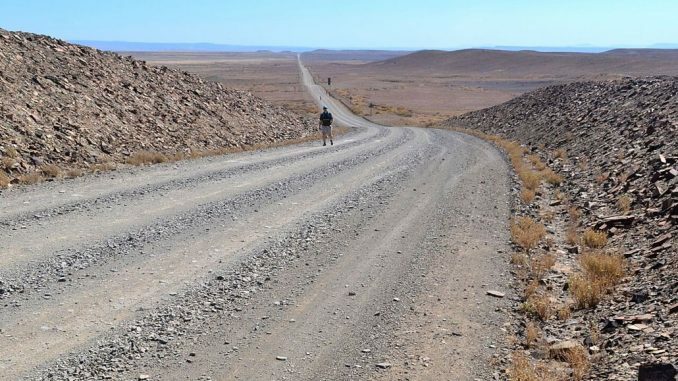 Founder, Danie Pieterse, had a dream to one day walk from his grandfather Jan Pieterse’s grave in the Tankwa Karoo, to his other grandfather’s grave in Rawsonville. 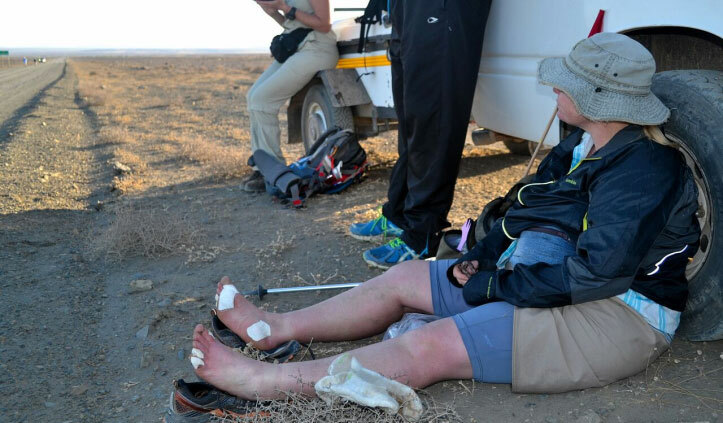 Danie shared this idea with one of his friends, Charl van der Merwe and soon the idea for a similar pilgrimage arose in the form of the Tankwa Camino. 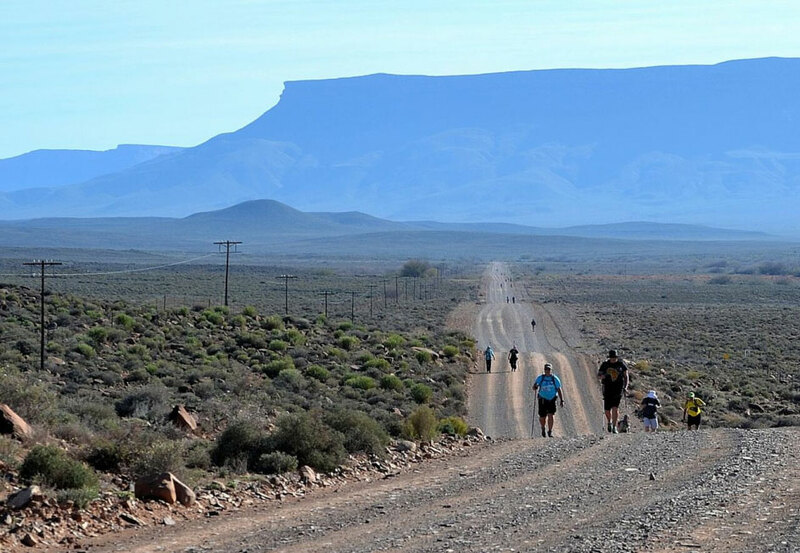 The main idea behind the Camino was to introduce people to this beautiful part of our country that connects Calvinia (in the Northern Cape) with Ceres (in the Western Cape) through the Tankwa Karoo. Danie and his wife Rhina are now managing this event along with a number of other routes centred around the town of Calvinia. 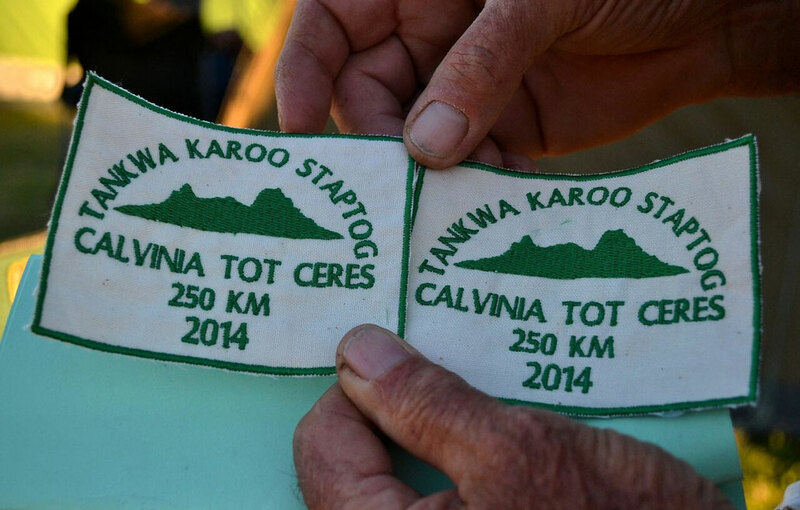 The Tankwa Camino route follows the R354 between the towns of Calvinia and Ceres. I think it is the nothingness of this world that makes it so enchanting. Our group was about 60 walkers and yet, because of varying starting times and hiking speeds, there were many, many, many hours when we walked alone and as far as the eye could see, it was only us! When you drive this road, your thought is, wow it is so flat, but just wait till you walk it. There are a few hills waiting to surprise you along the way. Fortunately, there is a vehicle that provides water – no need to carry extra water. The rest of our luggage and tent was transported daily on the Camino lorry to the next camp site. In my thoughts, even now a few years later, it is the silence and wide-open spaces that call me back. So how does the food work? Breakfast and lunch comes out of your own crate. I am not such a fast walker, so Louis and I carried lunch and enjoyed it along the way. Imagine walking 25km in the middle of no-where and as you walk into camp you get the distinct smell of skuinskoek wafting to meet you. I think for many hikers Truida’s tea time treats where the biggest hit. 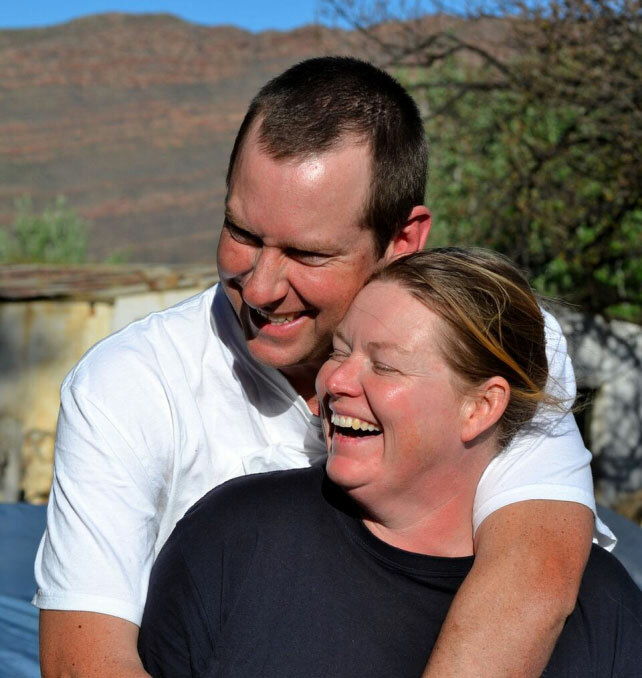 You just can’t believe what she conjures up on the plains of the Tankwa Karoo. 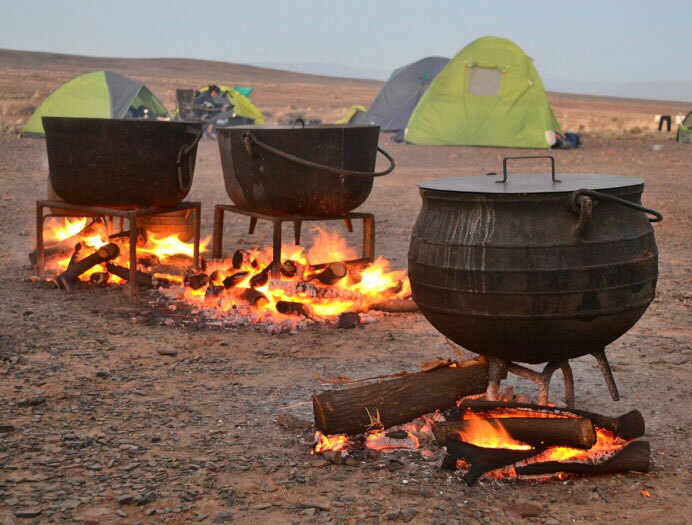 Each evening we were treated to a hearty potjie/braai cooked with lots of love. 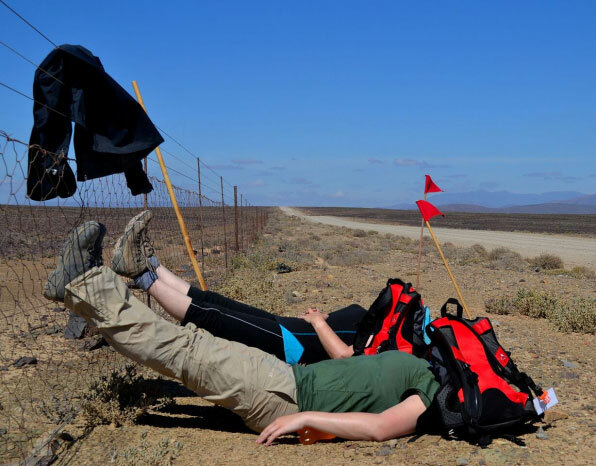 Walking the Tankwa Camino was a privilege for which we saved but we were not disappointed. A few things have changed since we walked, so according to the website this is what is included for the fee. 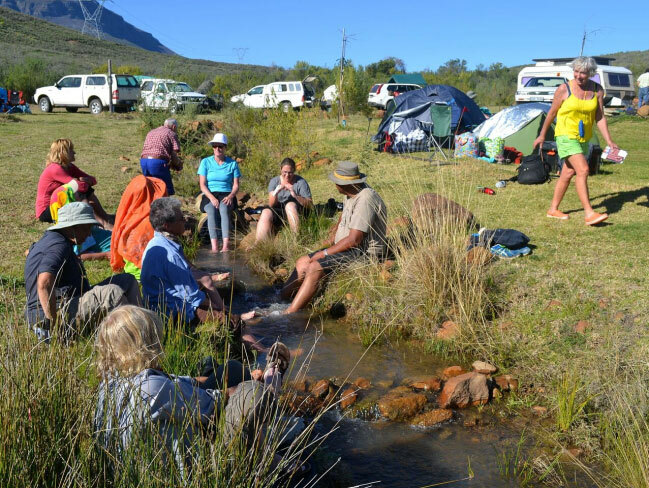 Hot water will be available on arrival at each overnight camp for washing purposes. You collect your own water out of the heating pots but are limited to 5 litres per day. No showers allowed. I walked the Tankwa Camino a few years ago. My youngest was about 4 and the oldest 6 and half. Life gets a bit blury with two little people in your life. As a woman, I think I momentarily forgot who I was. I always said if you want to know if you can marry someone, you should do at least a 5-day hike with them – then all the character traits will be exposed. Well, my husband swept me off my feet and walked me down the aisle before a hike, and then life happened. Marriage is hard work at the best of times but during those early years of children, communication is often challenging. I needed to be just me again (just for a few days) and I needed to connect with my husband…so we decided to do the Tankwa Camino… and we made it! I am not a fitness bunny. In fact, if anything I am just the opposite and overweight and, and, and… So, walking the approximately 25km a day was very hard for me. After the first day, I decided I was not going to walk 25km anymore! I was only going to walk 5km… and that is what I did. Danie and his team placed markers along the way approximately 5km apart (mainly to warn motorists of walkers ahead) so all I had to do was make it to the next marker. After that head shift I was good to go – well my mind was, but my body protested every day at about the 20km mark. At that point, to save my marriage – I would put my iPod on and say to my husband, “don’t speak to me…” and then I would put one foot in front of the other and just push on for camp. Now, don’t get me wrong – you have to be fit to do this Camino. 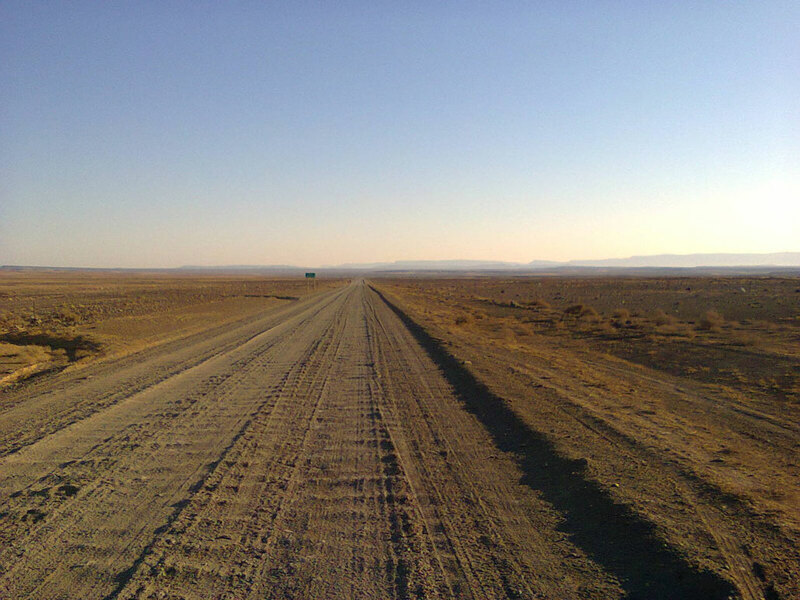 The distance is far, the road is hard and the sun bakes down in those Tankwa plains. The gravel road surface has – like everything in life – its pros and cons. The positive of walking on the road is you don’t have to have strong climbing legs. If you are walking fit, you can make the Tankwa Camino. So, in my opinion, for this walk it is your head that will earn you bragging rights – that is, if the blisters on your feet don’t beat you. Since starting the Tankwa Camino, Danie and Rhina have added a number of routes. Choose a route according to your fitness, time available and budget. Each route has its own personality and charm and will open up the beauty of this world I call home. The names to look out for include, Roggeveld Enduro, Sterrewag enduro and Hantam enduro. The Tankwa Camino is also Green Flag Trails accredited and you can check the specific trail criteria here. It looks incredible, we also like to do it where do we get more info like the best time of the year as well as cost and where do we start . is our vehicle save and also do you bring us back.? We did the French Camino the last 300 km. in 2010 and will do the Portugues Camino this April. Hi Gerhard. Please could I ask you to contact the organisers of the camino. I think the easiest is to follow the link in the article to their web page or facebook page and they will be able to give you all the information you need….but in the mean time… I think you will need to organise with your accommodation about leaving the car – our town is very safe so you don’t have to worry. The Camino offers transport back to Calvinia at an additional cost – I think. But contact them. If you do not come right please leave another comment and I will help them to contact you. You must come and do – it is amazing! Amazing article. Doing it in April and really loved reading what I have to look forward to. Slightly terrifying! I’m interested in doing the hike,please forward me the detail of the hike and the dates. HI Masser, Please could I ask you to contact the organisers of the camino. I think the easiest is to follow the link in the article to their web page or facebook page and they will be able to give you all the information you need. If you do not come right please leave another comment and I will help them to contact you. You must come and do – it is amazing! The Tankwa Camino is a WOW !!!! hike and so are all the Tankwa Enduro hikes. Words cant describe it. The Karoo and its people will get into your hard and blood. Love it.!!!! HI Masser, Please contact the organisation team using the links in the article. If you need more assistance please let me know. Sal graag dit wil aandurf in 2019. Did the tankwa April 2018, what a journey, just amazing and incredible. Will be doing one of the enduros this year can’t wait.